For the second year in a row, University City KIZ Companies received the highest number of KIZ Tax Credit awards among the 28 zones across the Commonwealth. 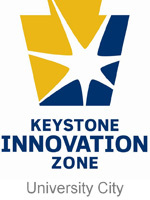 Thirty-six startup companies in University City, Center City and Old City have been awarded nearly $2.4 million in tax credits by the Pennsylvania Department of Community and Economic Development in 2017 as part of the Keystone Innovation Zone (KIZ) Tax Credit Program. Since the inception of the KIZ program, the consistent increase of KIZ Tax Credits awards to Philadelphia companies is a testament to the vibrant and growing startup ecosystem here. UC KIZ companies interested in applying for a tax credit should call 215.966.6156 or email kfitch(at)sciencecenter(dot)org for more information.